Los Angeles Clippers games used to be opportunities for family synergy. On Sunday, it will be father vs. son. When the Clippers play host to the Washington Wizards on Sunday, one part of the subplot will be Austin Rivers' return to Staples Center to face off against dear old dad. Doc Rivers was expected to go through something of a chemistry test early as head coach of the Clippers, but his revamped roster is starting to show an ability to unify quickly. Some of that altered Clippers chemistry, of course, has to do with the offseason trade that sent guard Austin Rivers to the Wizards in exchange for center Marcin Gortat. Austin Rivers has played in all five Wizards games off the bench, scoring 7.8 points per game and adding 2.0 assists. Gortat has started in the middle during all five Clippers games, scoring 3.6 points and averaging 6.4 rebounds. Rivers is playing a healthy 24.6 minutes per game and Gortat is getting 16.8. While the Wizards have stumbled to a 1-4 start, losing 116-112 on Friday at Sacramento, the Clippers appear to have some flow with a 3-2 record that includes two victories over the Houston Rockets, the most recent a 133-113 thumping on the road Friday. The Rivers vs. Rivers duel Sunday might have been on the Wizards' radar if they weren't trying to figure out how to regain some unity in the early going. "Comfort zones" and "agendas" were mentioned Friday as the Wizards are trying to wrap their heads around a disappointing start. "That's the proof in the pudding; everybody on their own agenda," Wizards guard John Wall said after the loss to the Kings, according to the Washington Post. "We showed glimpses when we do stuff as a team. We show how good we can be and then we go back to trying to do it individually, and that's mostly on the defensive end. Not helping each other out, not team rebounding, and that's what's killing us." Gortat, now removed from that kind of environment, originally mused that his new team might need at least 20 games to figure out how to complement each other's games. Now it appears the Clippers could be in sync well before Thanksgiving. While the Wizards are looking for selfless efforts, Doc Rivers talked about a bevy of key contributors Friday. Among them are Tobias Harris, Montrezl Harrell, Milos Teodosic, Shai Gilgeous-Alexander and Patrick Beverely. 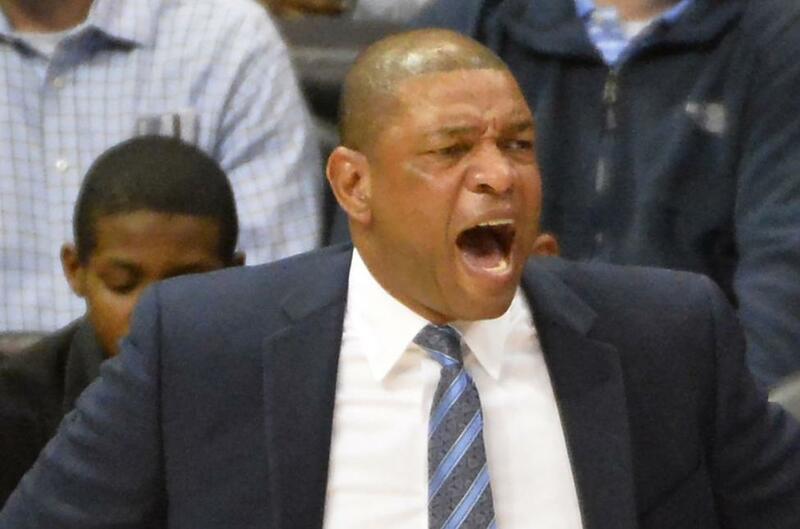 "It's just who we are," Doc Rivers said, according to the Los Angeles Times. "We don't have that one-guy team. We have a team and it's fun to coach." The Clippers did announce Saturday that forward Luc Mbah a Moute is questionable with a sore left knee. For the Wizards, forward Markieff Morris is day to day with an illness, and center Dwight Howard, who has yet to play this season, also is listed as day to day with a back injury. One issue for both teams will be to get eyeballs on Sunday's game, at least locally. Referred to in Los Angeles as something of a "sports equinox," the Clippers-Wizards clash on Sunday evening will take place amid a crowded sports landscape. Games in Los Angeles on Sunday include Game 5 of the World Series between the Boston Red Sox and Dodgers, an NFL game between the Green Bay Packers and Rams, an NHL game between the New York Rangers and Kings, and an MLS game between the Houston Dynamo and the L.A. Galaxy.